I finally got this little mini finished, just got to do up some good pictures and it’ll be set and ready to go off to the customer it was painted for. 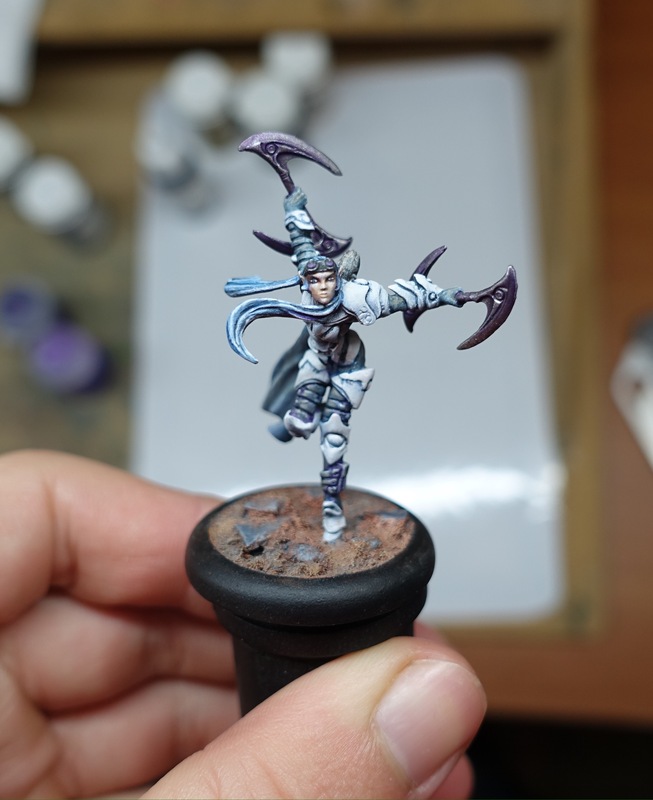 Given I’ve finished her I’m now on to my next project, Angron. 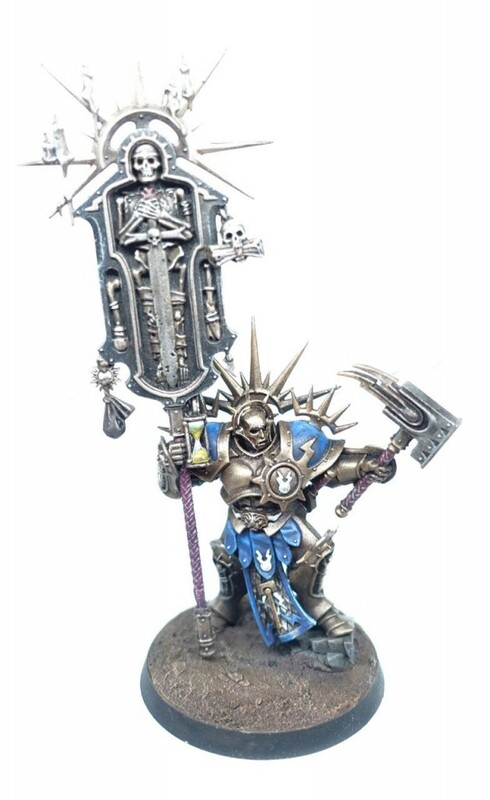 Should be fun to do up a forgeworld mini, haven’t done one in a while. I have decided to take on a commission for a friend. 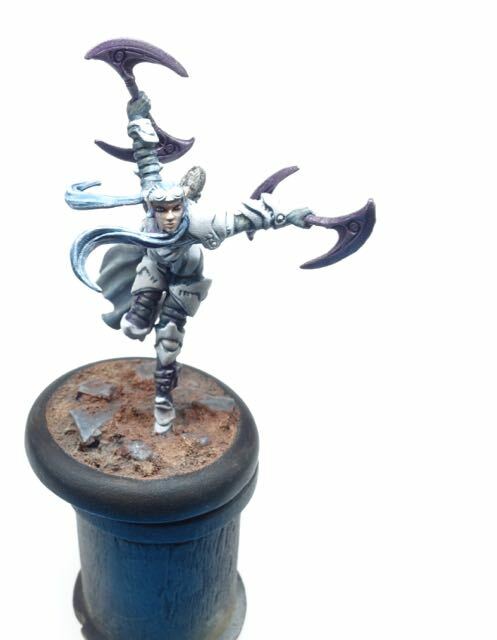 It’s a limited edition version of Elara that was available as a reward in some sort of Kickstarter that Privateer Press ran. The model is coming along nicely and given it’s a pretty simple colour scheme should be done soon! 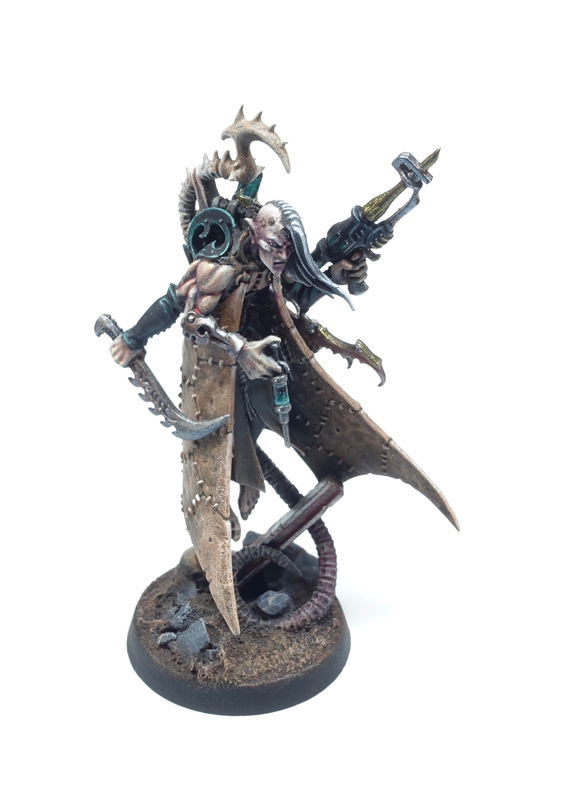 It’s been a while since I’ve got anything up on the website so I thought I’d better show off a recent paint job! 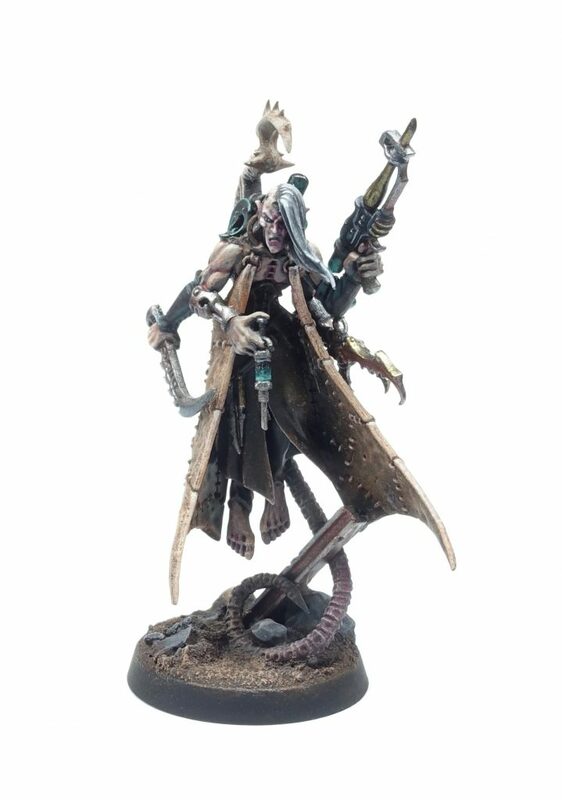 This was a fun model I painted up primarily to sell but I entered it in a local competition and it managed to take home a silver. I finally finished of this force. 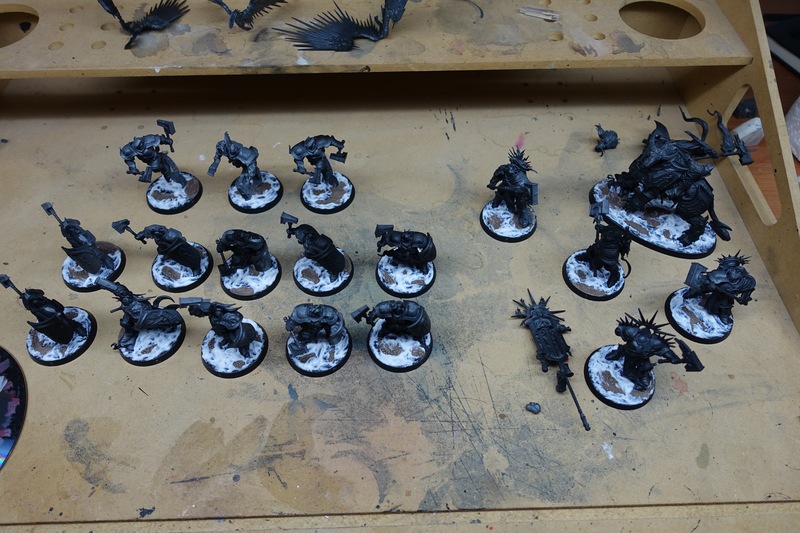 Overall it was a fun project that has gotten me back in to working on larger armies (well larger than my usual projects anyway…). Now I’ll just have to see if anyone wants it! Launching in to another project once again, this time an entry for a competition! 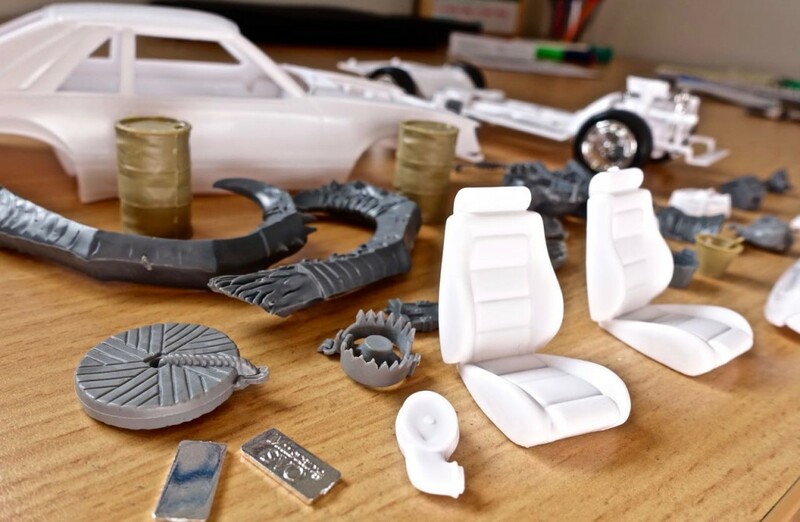 MassiveVoodoo are running a mad max themes car competition so I thought I’d better jump on board, nothing like a competition to push me to up my painting/modelling skills. So far I’ve got the basic car fully assembled and have started some basic conversion work. 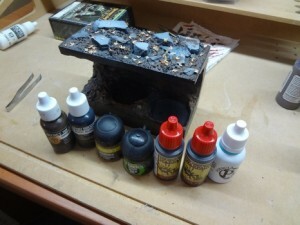 I’ve also pulled out a pile of bits that I’m going to use to convert it up. 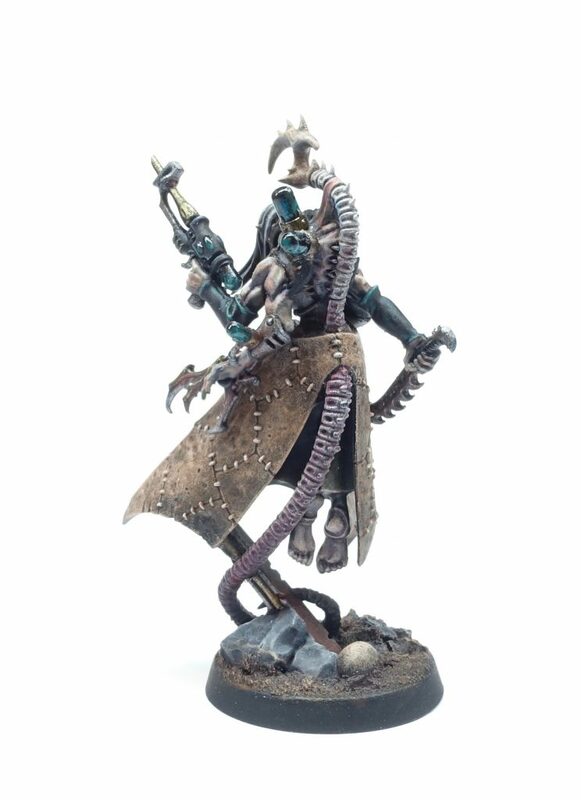 Next step will be a trip to the hobby store to get some more jerry cans/misc bits and then it’ll be on to conversions and basically beating the heck out of the thing to make it look like it’s been to hell and back. Should be a lot of fun! Here’s the first few hours of work I’ve put in to a force of Stormiest Eternals that I’m going to be working on for the next few days. 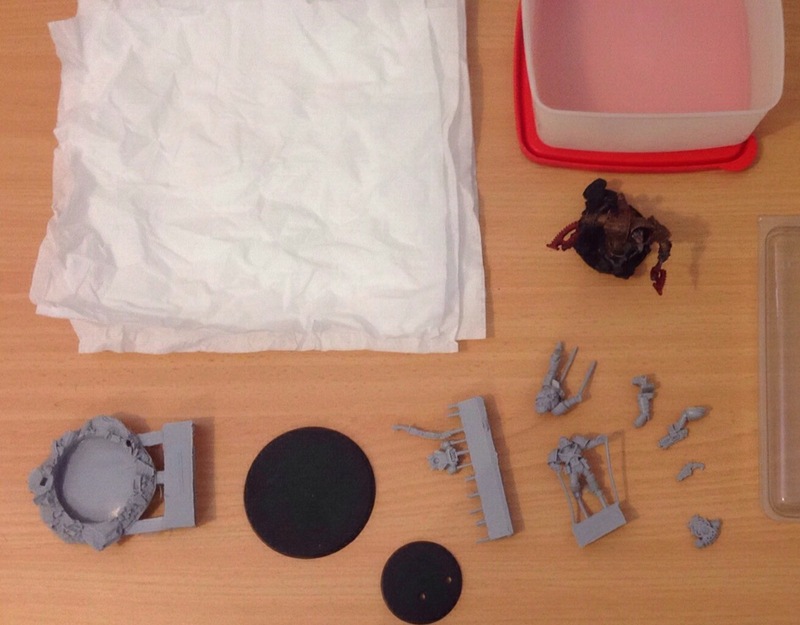 Just the contents of the starter box that I’m going to speed through for the tabletop, should be fun! After about 2 hours of assembly and prep I’ve got the force all together and partially primed. 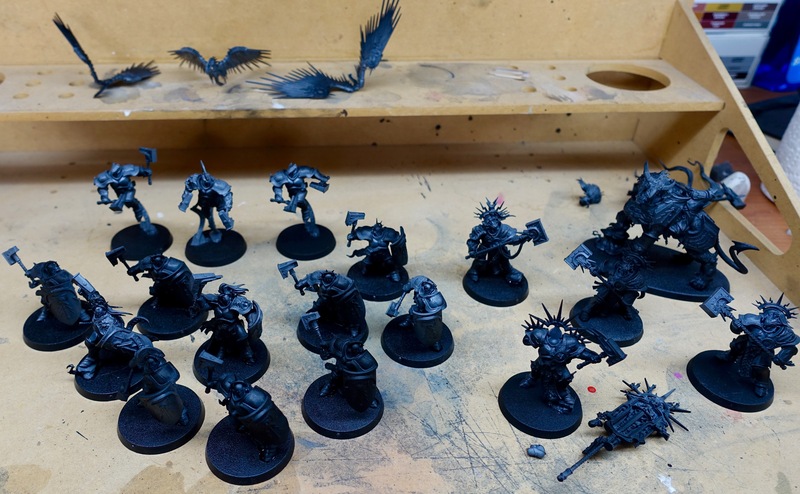 I began with the models off the bases, primed their undersides black, scraped the primer off the underside of their feet and then glued them to the base. 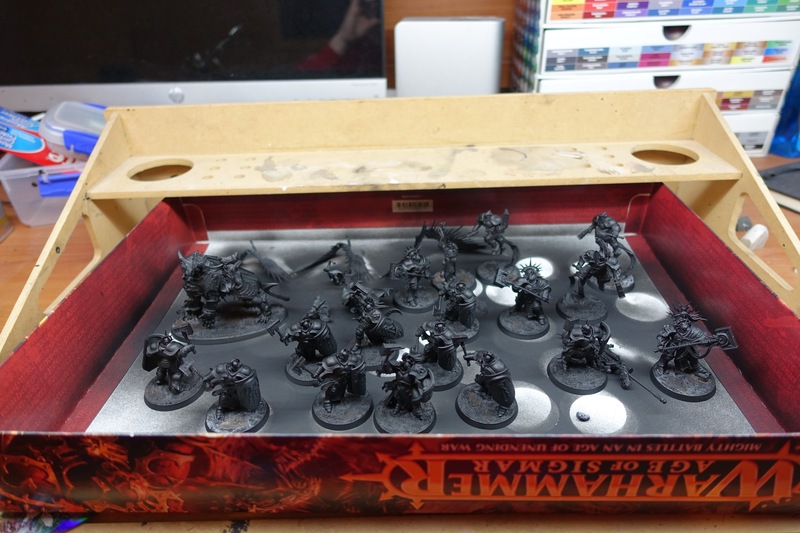 This ensures I have primer in all the little underside details which is important as I will be using the black primer as a shade colour in the recesses. 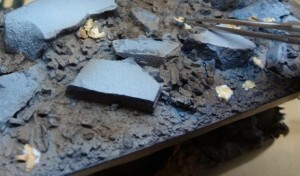 You can see the results here, some nice crackled texture! Next I move on the the grit/dirt effect for which I use texture paste. Again I just gloop in on everywhere and allow it to dry. 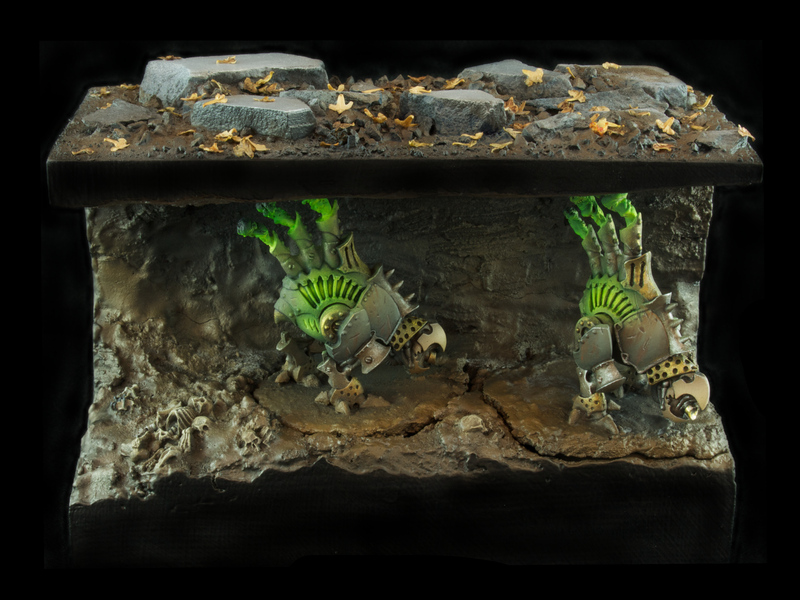 It gives a fine texture which is the dirt/dessert effect I am going for. 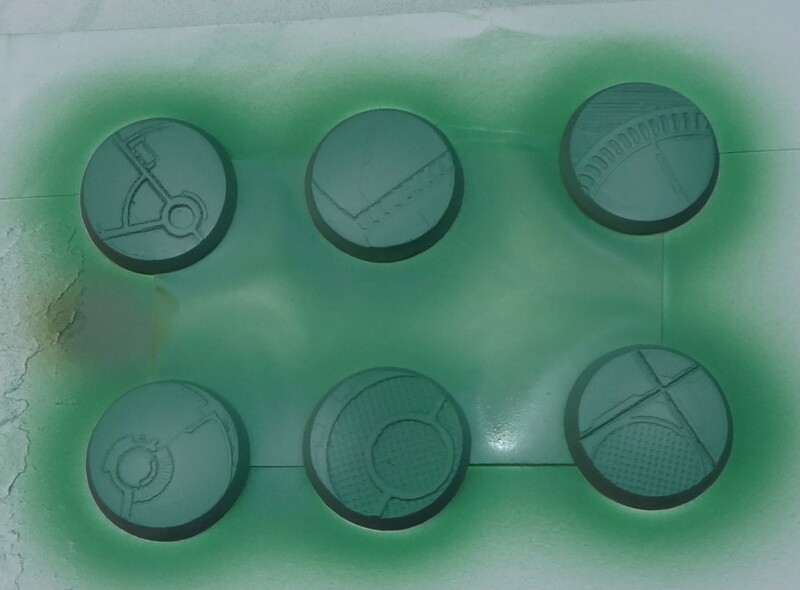 Then Everything gets a second coat of primer from above which finishes the prep work and means the models are ready for paint! I let them sit overnight to ensure everything is dry before commencing. 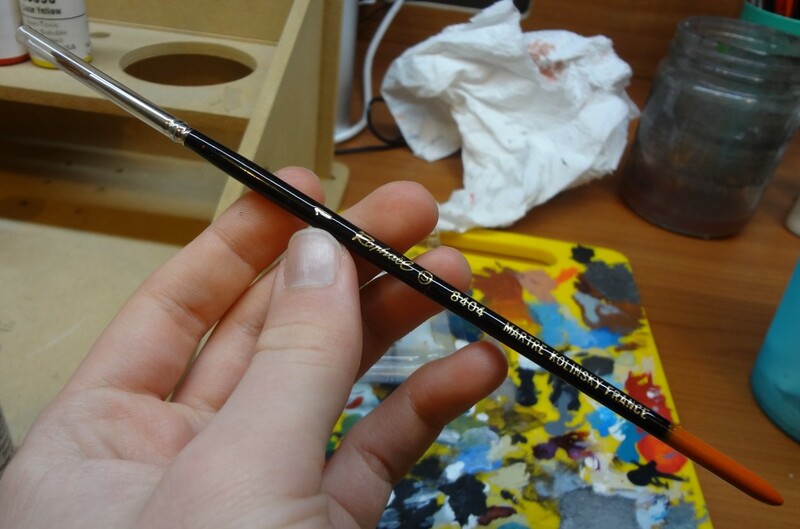 This is a heavy dry brush used over all of the models. And that is were we are at for the moment, more progress soon!!! 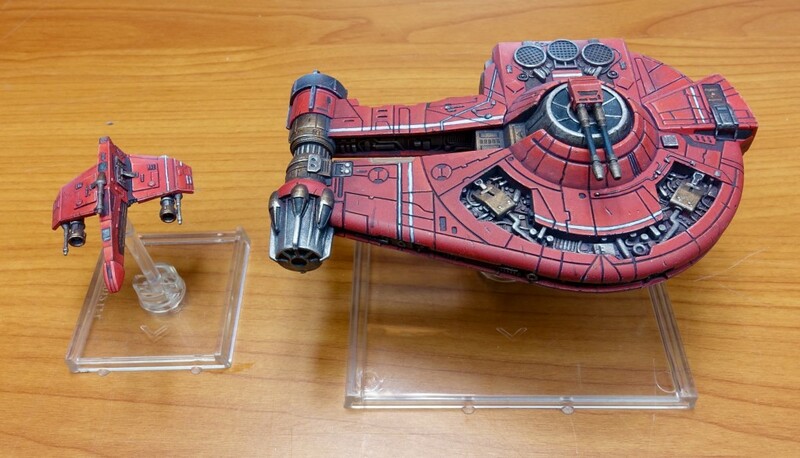 Just finished a couple of Xwing repaints, hadn’t worked on any of these models before so It’s been an interesting change of pace! I’ve got a couple more in the mail so I’ll have some more on the way soon! We’re back in to things!!! 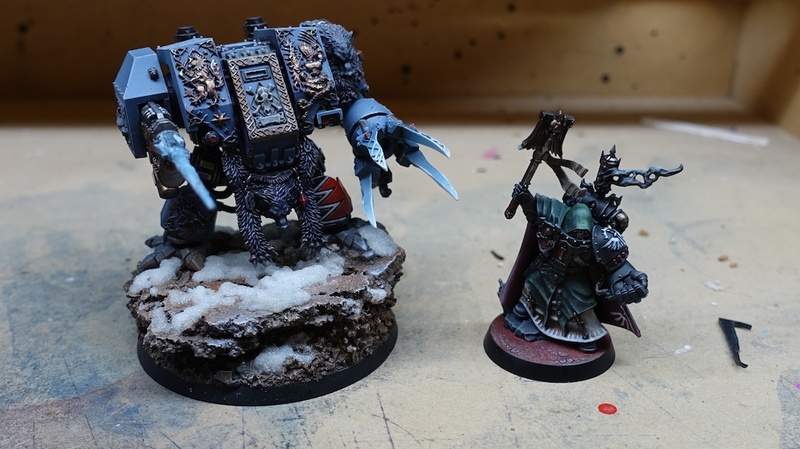 Now I am back with a vengeance however with a bunch of models completed and a pile of articles in the works so be sure to watch this space and in the meantime, here’s a look at 2 of my recent completions! 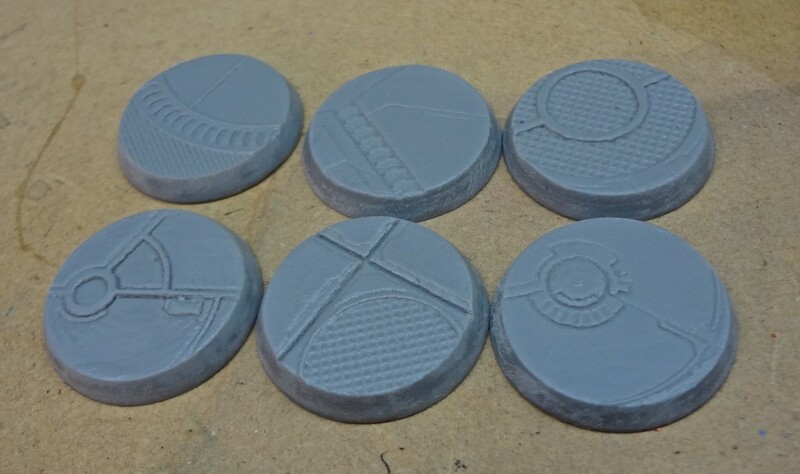 No real prep work was required for the bases. 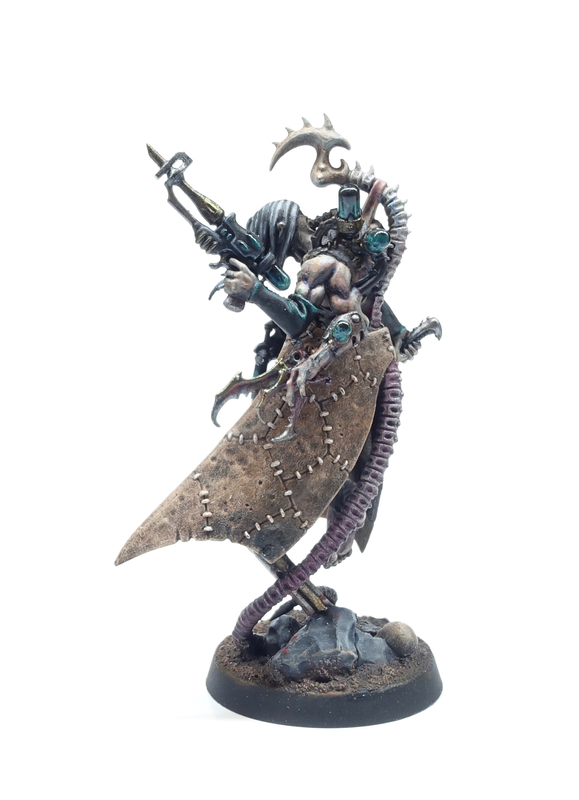 The cast was flawless (a huge relief as I had just finished a large Finecast commission) and there didn’t seem to be anything much in the way of mold release though if in doubt washing your parts is the safest option (and what I would recommend). 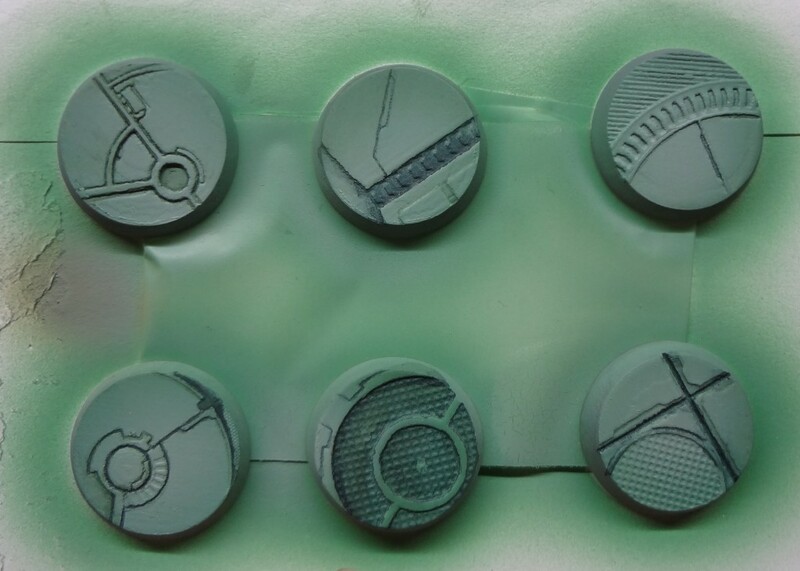 I did give the rims of the bases a light sand just to be sure that they were super smooth but that is optional/unnecessary.Finally I gave the bases a light dusting of a rattle can grey primer (a cheapy hardware store brand) and stuck them down to a piece of folded up cardboard with some sticky tape to make them easier to handle while painting. 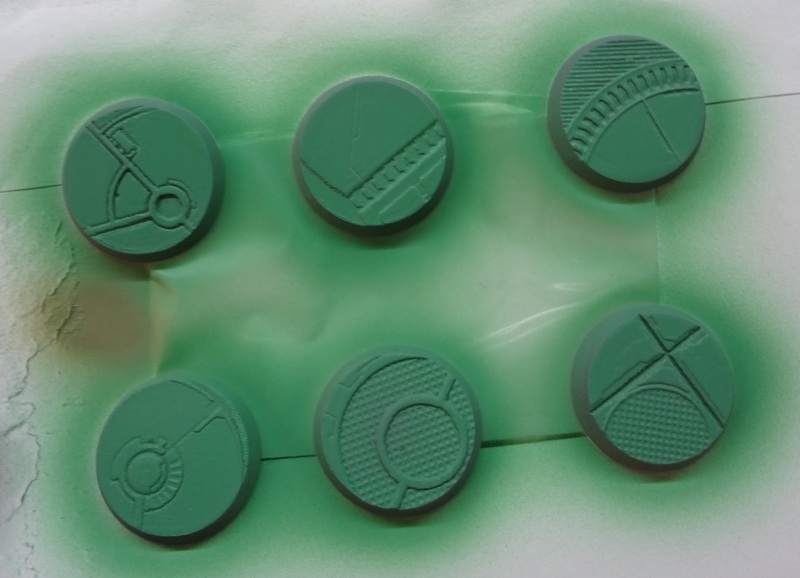 I began by base coating the bases with Boring Green by Minitaire (good job Badger marketing team…) and I used my trusty Patriot 105 to apply it… This resulted in me getting a nice even coat of green in just a few seconds. 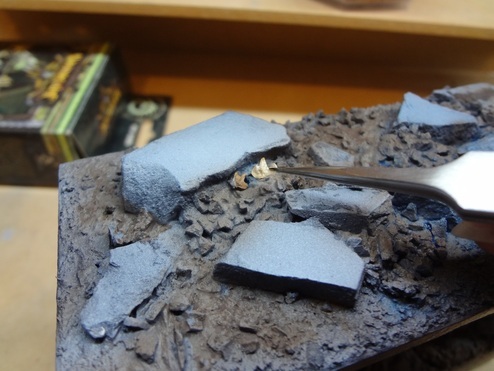 I then grabbed out a light grey (in this case Dusty Ground) and mixed that with the base coat and applied it through the airbrush as a highlight. 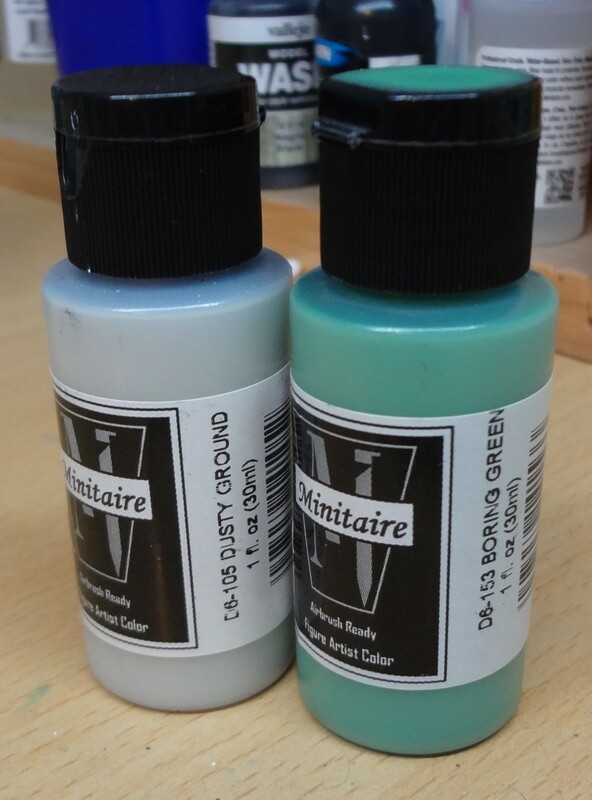 This creates a very desaturated and light colour which is ideal for paint chipping and weathering effects. Now, here comes a fun bit! I mixed a reddish brown with some black (so a really dark brown was achieved) and painted this on in small chip/scratch like shapes. For some areas I grabbed an old brush and stippled on the paint to get different effects. 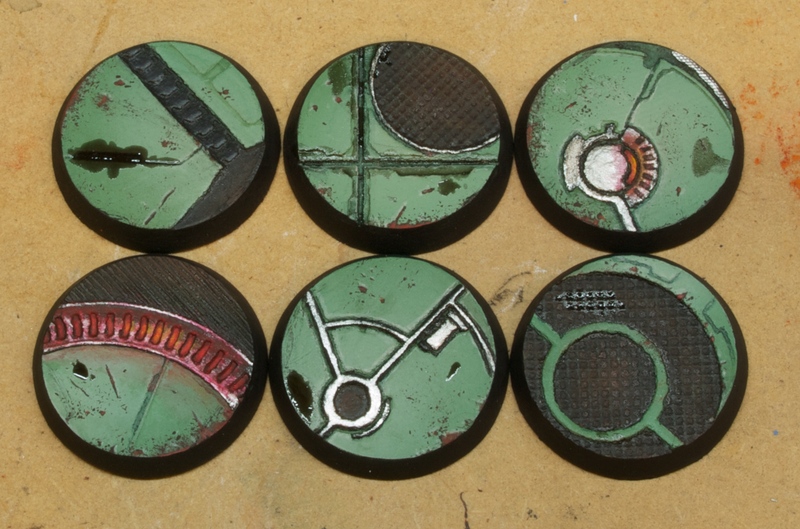 I then proceeded to highlight the rust in the centre of the paint chips. 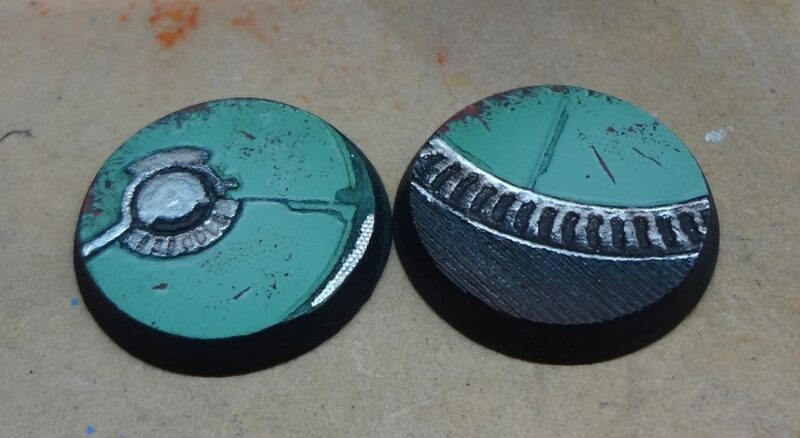 To do this I used an orange colour mixed with a little of the base chip colour and painted in the centres of any large scratches or any with prominent exposed edges. I then went over them with a little line of black around the edges. 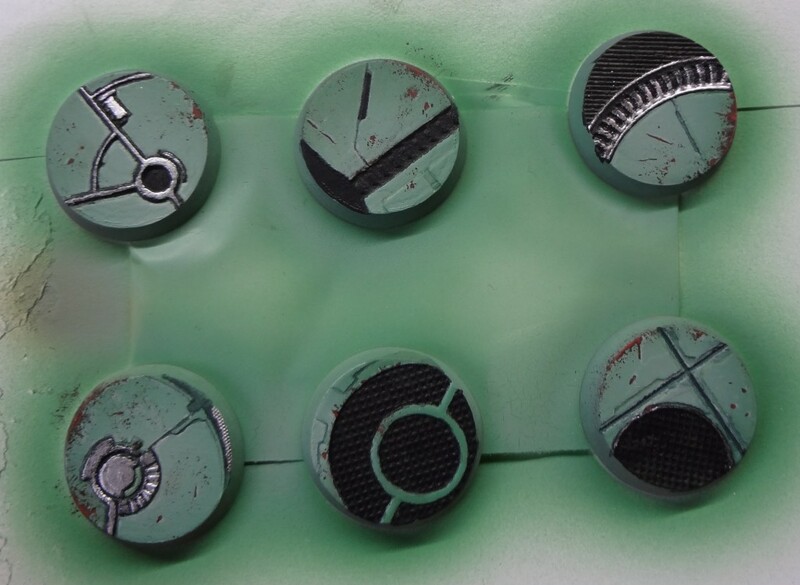 This was only done to the larger areas, there’s no way this sort of detail could be done on the smaller paint chips. 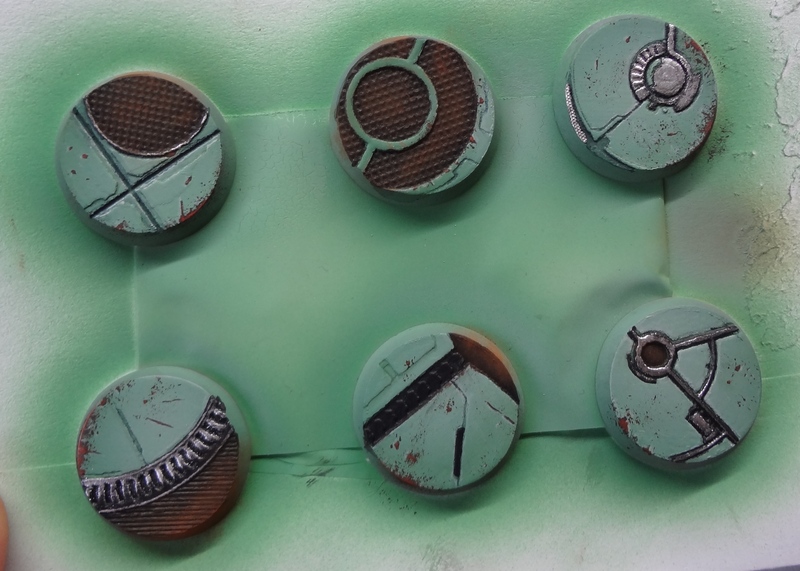 Here’s what it looks like after the rust colour has been shaded… Don’t sweat it if your brush control isn’t good enough to pull this of. You can skip this and it will still look awesome! I also use this colour to edge highlight some of the panels which just makes things look nice and sharp. 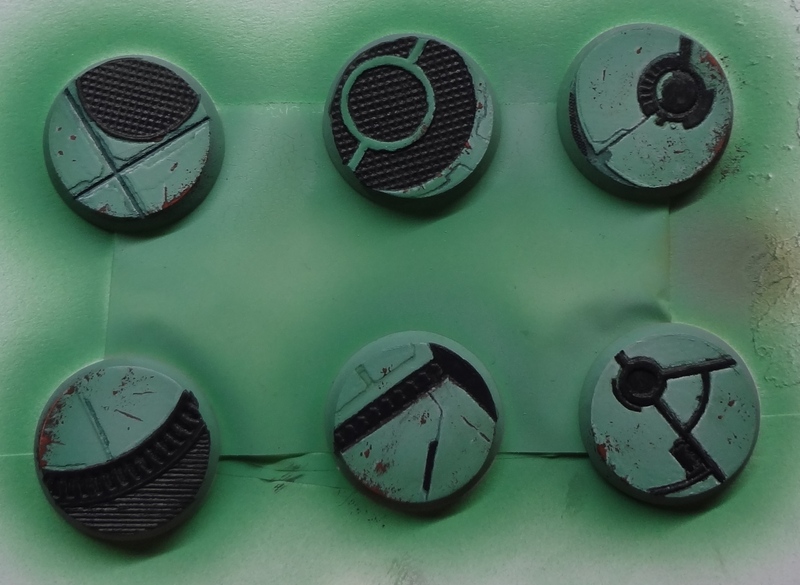 As you can see I took the liberty of going in and basing everything I wasn’t going to have green in black. All the metallic details were blocked in with Vallejo alcohol based metallic silver. I hate working with non acrylic paints but with the metallics it’s worth it (the finish is so much more shiny). 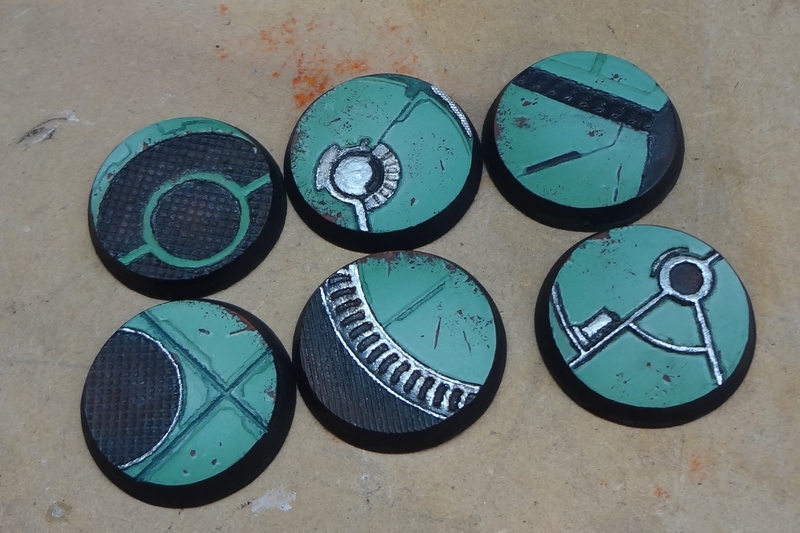 I also used a thin black wash to shade the metals a little… This was very subtle but that’s what I was going for… I wanted the bases to be eye catching despite the drab green. 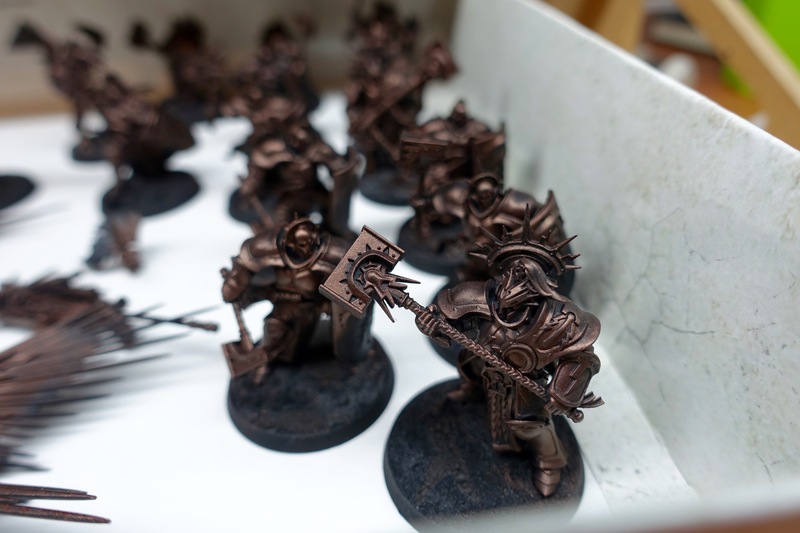 I also like the reflective quality of the metal paint. 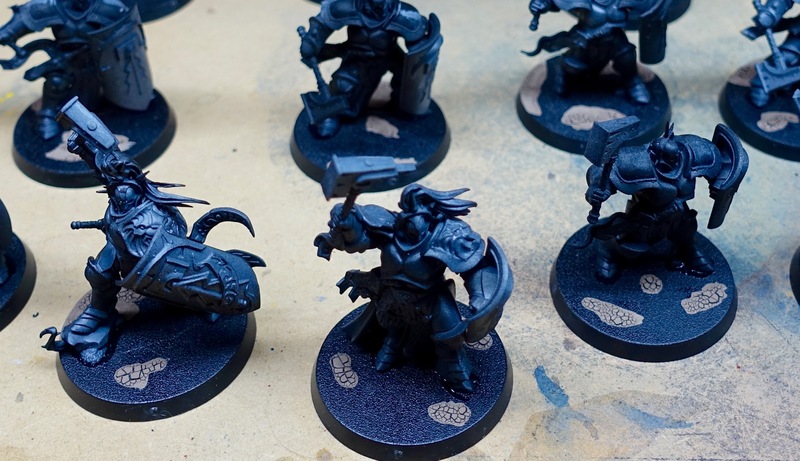 I felt like things still looked a little dull so I highlighted the black areas with the the series of grey Minitaire paints pictured below before launching in to some bright red heat/osl effects! 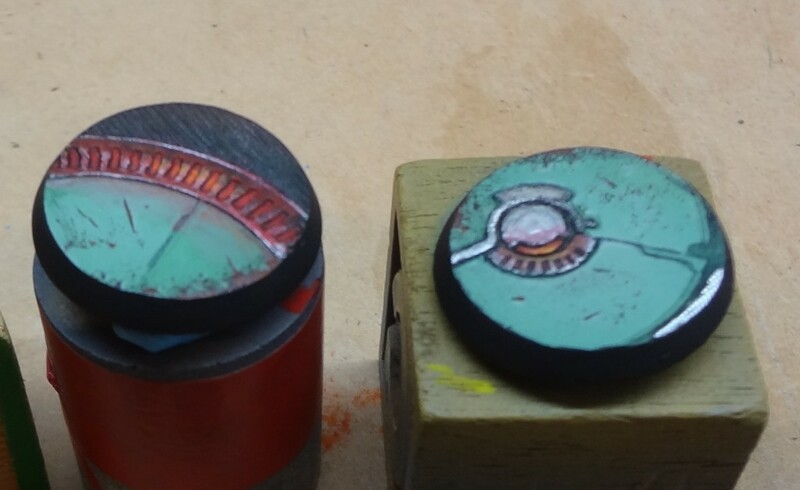 I decided I wanted to make it look like the indentations on one of the bases were actually glowing red hot… I also wanted to create a similar osl effect on a small part of one of the other bases pictured. 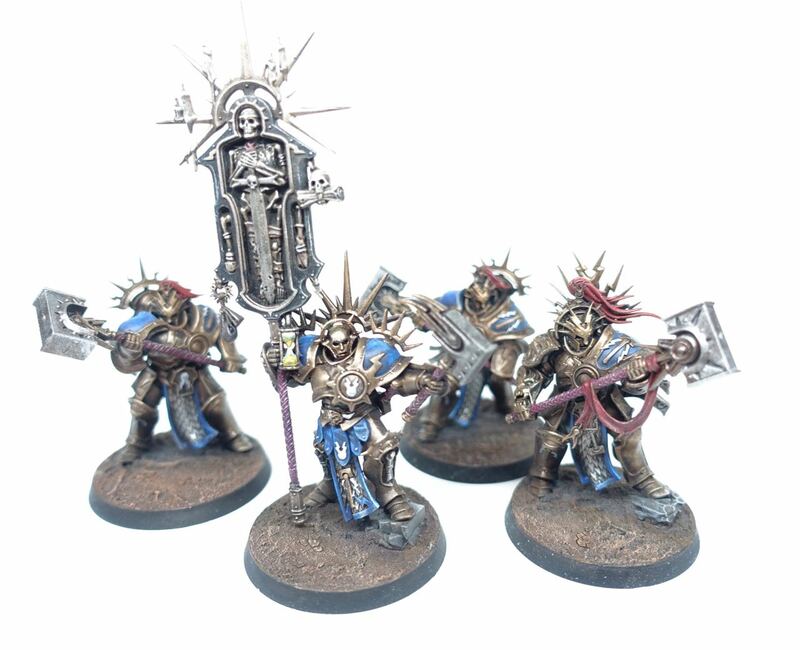 Here is what the effect looks like after I have finished with the standard colours… Not too hot/bright looking yet… To fix this and sell the effect I grab out the Reaper Clear colours Red and Yellow. 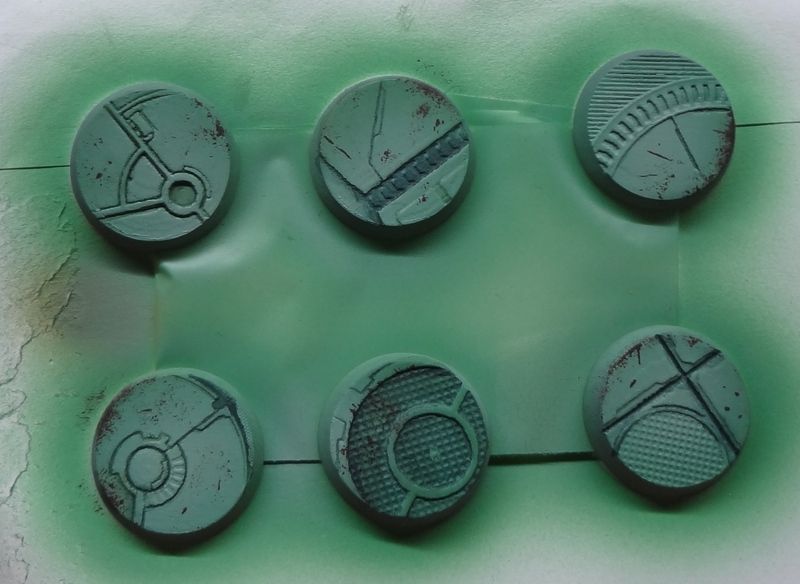 I used these thinned out as washes/glazes to tint the outer areas to create the glow/heat transmission effect. This stage also smooths out the gradients that I rushed a little in the previous stage! 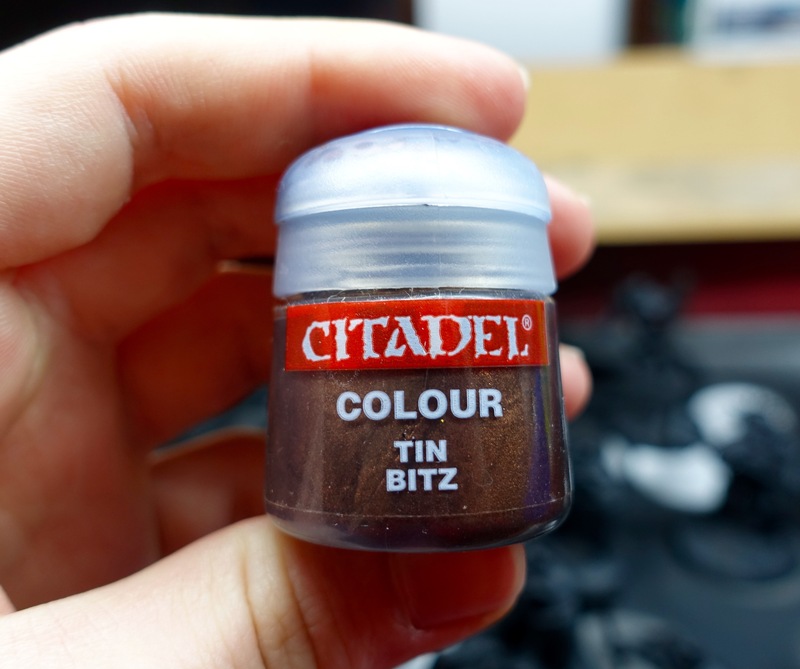 I highly recommend picking up some of these paints… They have a super matt finish and just make osl and filters so much easier for a beginner. That’s the result of 3 min’s of work with the clear paints! The last thing I decided to do was to make some dirty puddles of nasty water or oil. 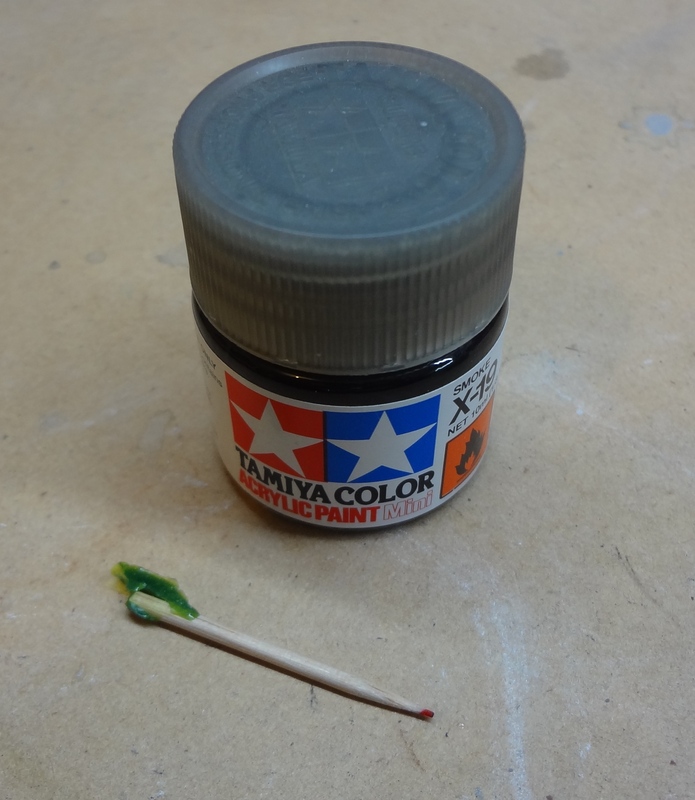 To do this I grabbed my favourite paint for the job… Tamiya Smoke! (it’s a clear gloss acrylic) I apply it with a toothpick and an old brush. 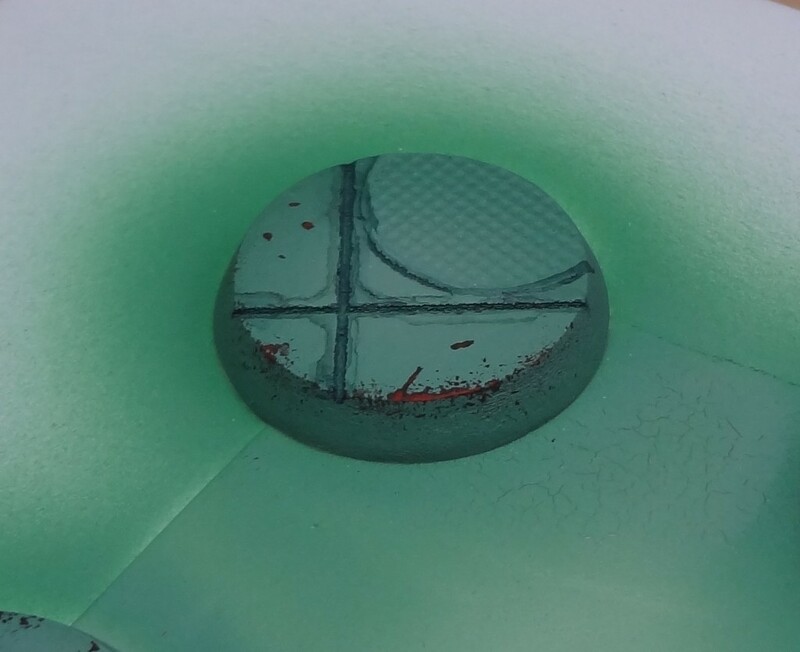 I make some small dots of it, some larger puddles and finally I thin it out with water and wash it in to the seams of one of the bases so it looks like the liquid is flowing around like it would realisticaly. Overall not to bad for 45 or so min’s of painting (including stopping to take pictures). Cheers for reading along, hope it’s helped some of you out… Any feedback or questions don’t hesitate to get in touch! Cya in the next one!!! For mimicking leaves on a small scale (28-70mm) I like to use ‘Birch seed leaves’. These are essentially just bits of material from the Birch Tree that are dried out and then coloured by the manufacturer to give them nice leaf like colours. Many companies produce these leaves however the brand I like to work with personally is Secret Weapon Miniatures. They have many different colours available for a reasonable price. 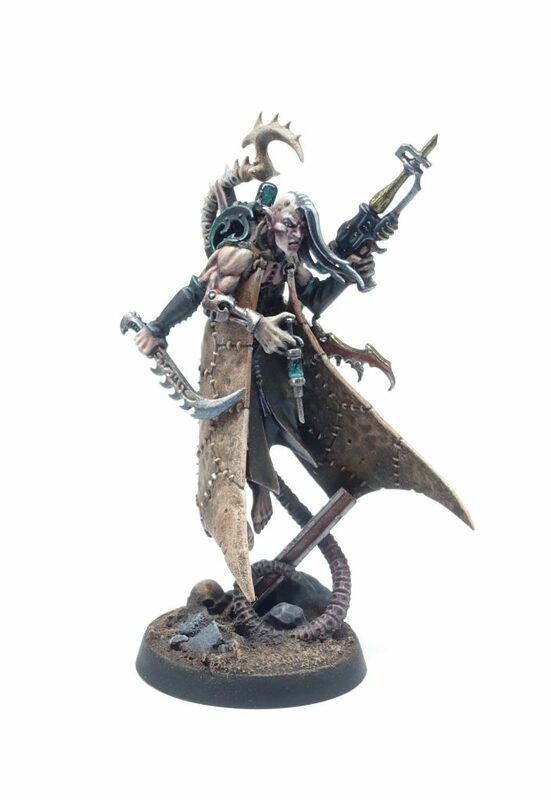 For guys like me in Australia I recommend picking them up from TableTop Empires… If you are overseas then you should be able to easily get them directly from Secret Weapon Miniatures. 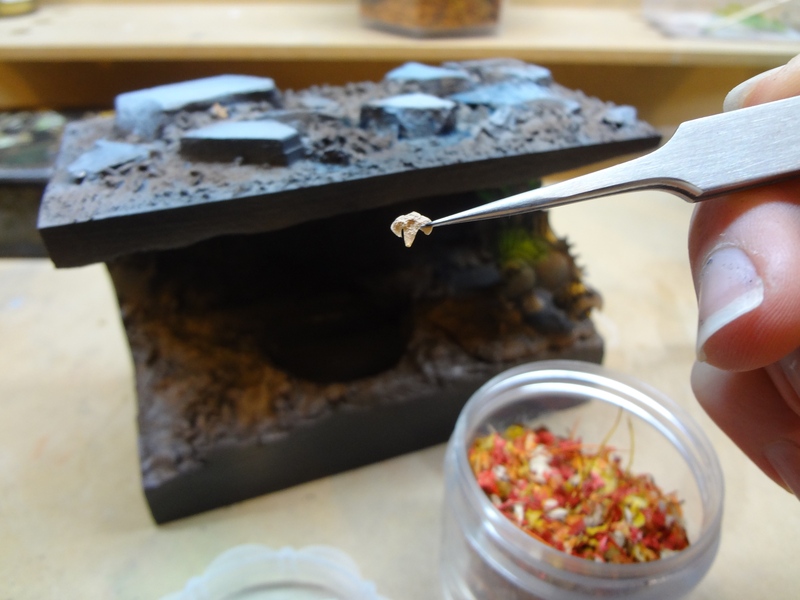 You will also need a surface to put your leaves on (well duh), a pair of high quality tweezers for applying the leaves and some PVA glue for sticking them down. 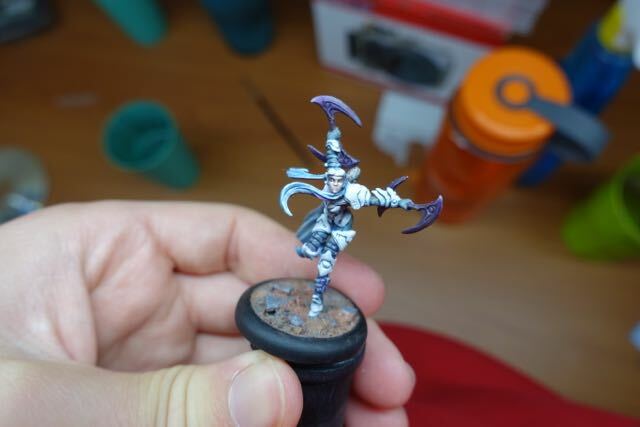 Optionally you can also use a bunch of different acrylic washes as I did in this example. I begin by picking out a leaf that I like the look of… In this example I chose leaves of a similar colour as I didn’t want the base to look too colourful (it would draw attention away from the models). Secret Weapon do make leaves of all different colours though so you have tons of options in regard to choosing what colours would suit your particular scene. 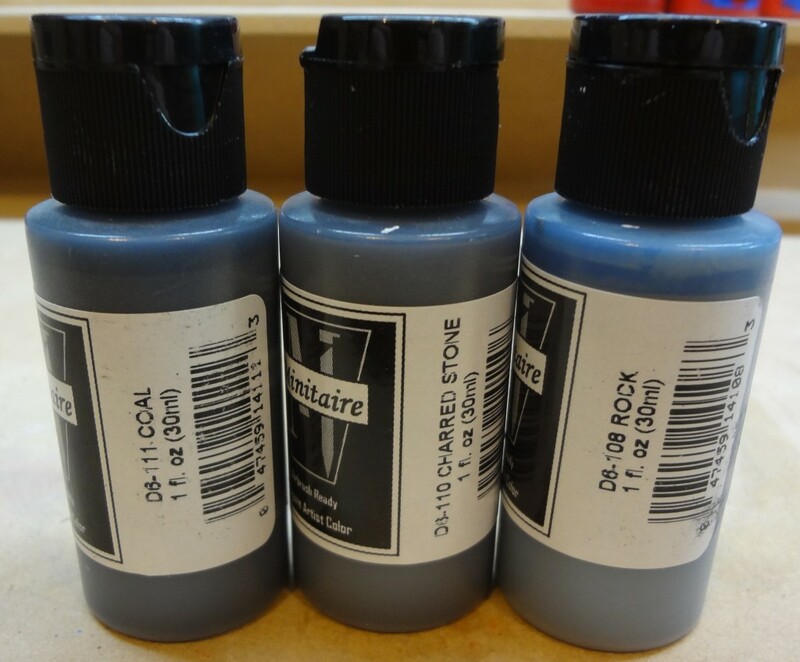 If you want to use washes on your leaved to colour/shade them then I recommend choosing the lighter colours as they work better for this purpose. You can see here that I chose leaves from the fall colour mixed bag of leaves from Secret Weapon. 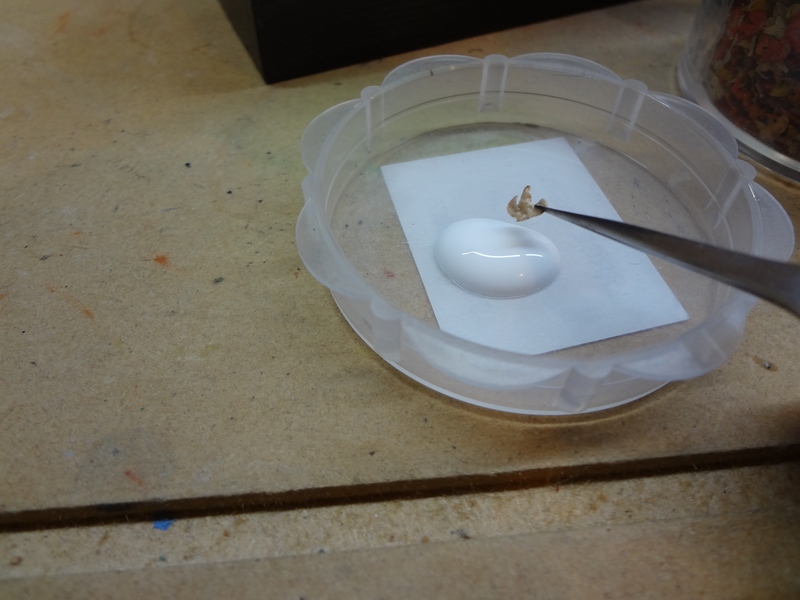 Next I dip the leaf in some PVA glue. 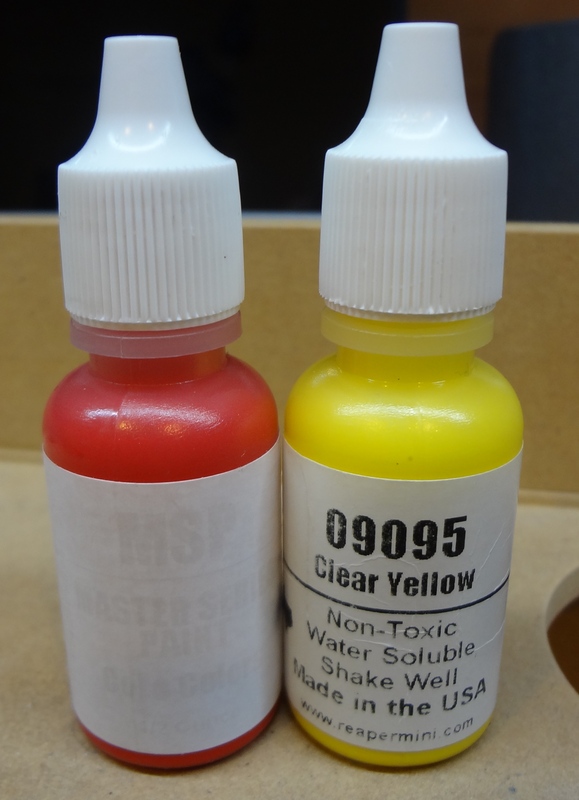 I prefer PVA to super glue as it dries clear and you don’t have to worry about it going all chalky….. 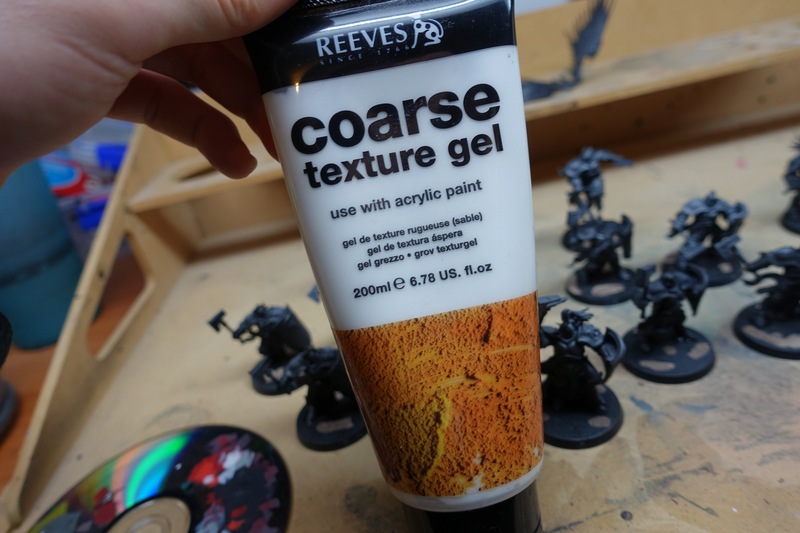 Try not to use too much as it can dry with a gloss finish and you don’t want that messing up the look of your base. You can use an acrylic matt medium instead however it isn’t as strong (though it looks better in you have a tendency to be a bit messy). 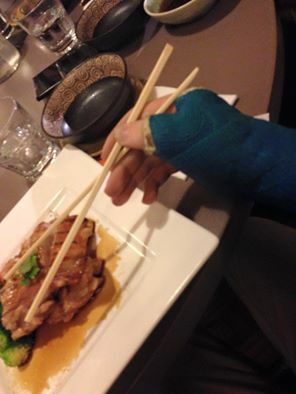 Next I simply apply my leaf to the base! Then rinse and repeat… It’s a bit long winded but is is certainly worth it in the end. 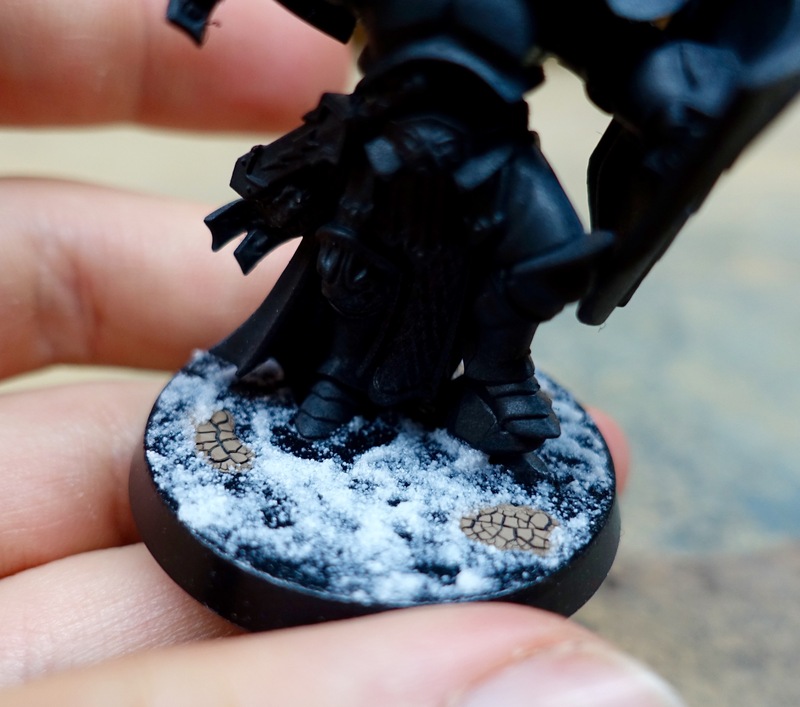 You could dot the glue on the base and then toss on a bunch of leaves like you would flock… This gives you less control but it is faster and if you were doing a larger terrain piece then that is what you would need to do. I find the individual application approach works better because the leaves look more realistic in regard to were they fall. It all depends on the look you are going for though! Once the glue is all dry you have the option of working further on the leaves… Normally I wouldn’t do this as the colour that they already have is perfectly acceptable. This piece was however a competition entry and I wanted to bring a bit more depth and difference in tone to the individual leaves so I decided to go over them with a motley assortment of different washes. I put the washes all down on my pallet and whent through them one by one picking out leaves and just quickly giving them a coat of the wash.
Just like with the selection of leaf colours you can feel free to use different wash colours to achieve different effects. 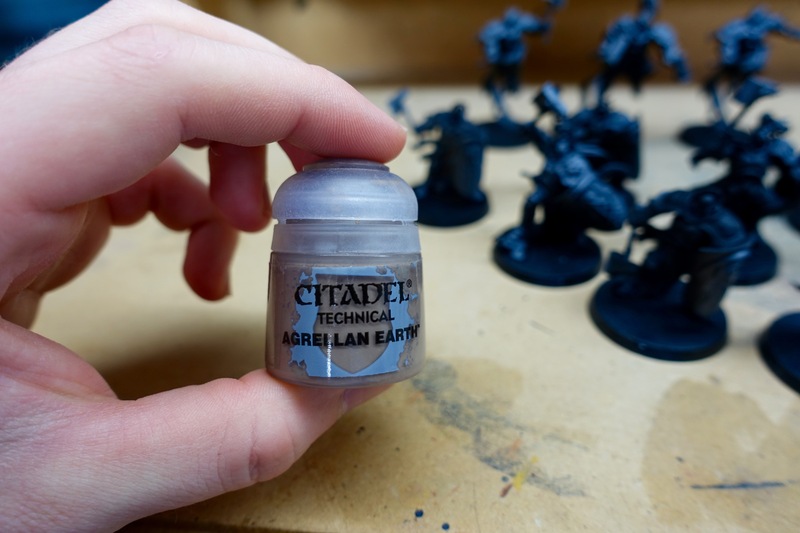 As you can see the washes just bring a greater level of shading and colour spectrum to the leaves… It is very subtle but in my opinion worthwhile! Not too shabby if I might say so myself! This piece came first in a No Quarter magazine competition so if you want to check that out flip through your issue of NQ!!! Cheers for reading along guys, Hope you found the article helpful… Cya in the next one!! !